In the early 21st century anxiety over the danger of Influenza A virus subtypes H5N1 (avian flu) and more recently H1N1 (swine flu) has revived memories of New Zealand's worst disease outbreak, the lethal influenza pandemic that struck between October and December 1918. 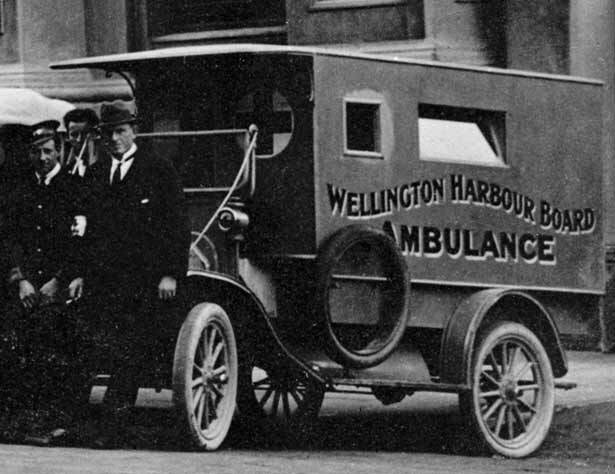 In two months New Zealand lost about half as many people to influenza as it had in the whole of the First World War. No event has killed so many New Zealanders in such a short time. Many people believed that the severe form of influenza was caused by the arrival of ‘a deadly new virus’ aboard the Royal Mail liner Niagara on 12 October, but this is unlikely to have been the case. However the pandemic arose, by the time it eased in December the death toll had reached 9000. Maori suffered heavily, with about 2500 deaths. But death did not occur evenly either among Maori or New Zealanders as a whole: some communities were decimated; others escaped largely unscathed. The only places struck with uniform severity were military camps. There were consistencies, though, in the ways in which the country responded to the crisis. Central committees were established to coordinate relief efforts, and areas were divided into blocks or districts, each with its own ‘depot or bureau’. Many public facilities and businesses closed, and public events and gatherings were postponed. With the medical workforce already stretched due to the war, volunteers had to fill the gaps, whether in their own household or in their local community. In the aftermath, the public sought answers from the government. What they got was a major reorganisation in the form of the 1920 Health Act, which Geoffrey Rice, author of Black November: The 1918 influenza pandemic in New Zealand, describes as ‘the most useful legacy' of the pandemic. We have 2 events in history, 11 biographies, 5 articles, related to The 1918 influenza pandemic.